So proclaimed the Welsh explorer Sir Henry Morton Stanley when, in 1888, he led the first expedition across the forests of the northern Congo. 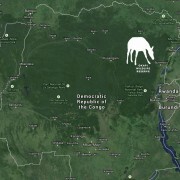 Indeed, The Democratic Republic of Congo (DRC), the most biologically diverse country in Africa, holds infinite natural treasures and significant species such as gorilla, elephant and bonobo. Over 1,500 types of plants and animals, including the okapi, are found only here in the world. The Okapi Wildlife Reserve, established in 1992 and listed as a World Heritage Site in 1996, helps protect the habitat of the okapi and preserve rare plant and animal life, as well as the lifestyle and culture of indigenous people. 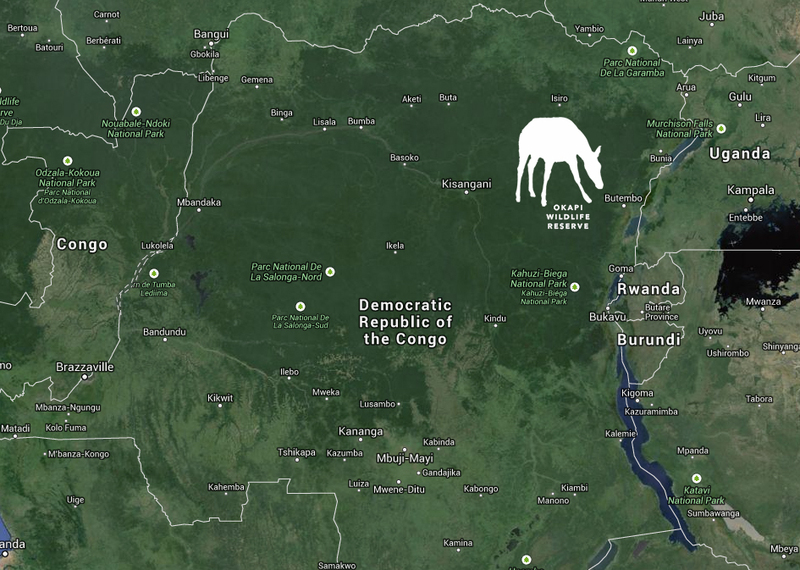 The Reserve encompasses 13,700 square kilometers (1.5 times the area of Yellowstone National Park) of the Ituri Forest – one of the most important centers of plant and animal diversity in Africa – in the northeastern portion of the DRC. 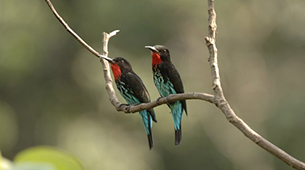 The largest population of okapi, forest elephants and chimpanzees in DRC, along with 13 species of primates, leopard, forest buffalo, bongo antelope, water chevrotain, and a wide variety of birds and insects, are among the wildlife harbored in the Reserve. 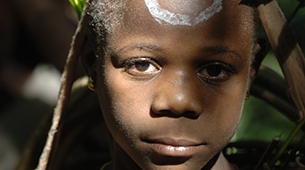 The Ituri Forest is also the cultural center of the Mbuti and Efe pygmies, among the last true “forest people” left on Earth. They are true hunter-gatherers and deep forest-dwellers living traditional lifestyles as they have for centuries, perhaps millennia. 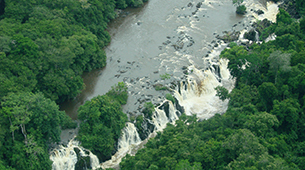 Through trade and association with neighboring cultivation communities like the Bantu, their activities generally enrich the overall composition of the forest by providing pockets of secondary vegetation a source of plants on which the okapi feed. 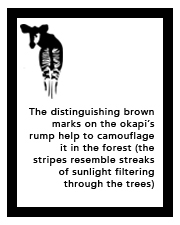 The Okapi Conservation Project’s presence in the region and its role as a coordinator and supporter of the Reserve has helped to provide stability for the Mbuti and Efe pygmies to continue to live off the bounty of the forest as they have for thousands of years. The Epulu Station, in its namesake northeastern DRC village, is headquarters for ICCN and the base of operations for OCP personnel. From here, ICCN, with OCP support, monitor and manage the Reserve. OCP activities radiate out from Epulu to support the neighboring communities and towns in and around the Reserve.